During development, incomplete closure of the palate, the tissue on the upper jaw, may result in an open defect or cleft palate. Occasionally when the cleft palate was caused by a developmental problem, a malformed nose may also be present (cleft nares). Developmental clefts palates are frequently associated with unerupted teeth, tooth absence, or tooth malformation. Cleft palates may also be present as the result of trauma in older patients. Difficulty eating, discharge from the nose, and pneumonia are common complications seen with cleft palates. Surgical repair is normally warranted with cleft palates. Depending on the severity of the cleft, several procedures are sometimes required. Primary cleft palate caused by an error during development. 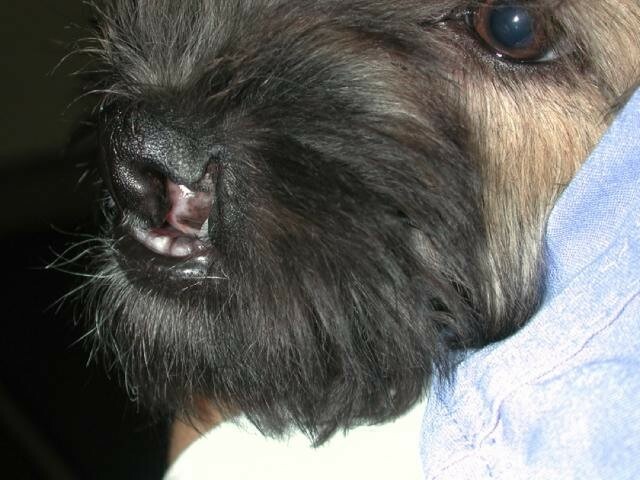 Cleft palate of the upper jaw caused by trauma. 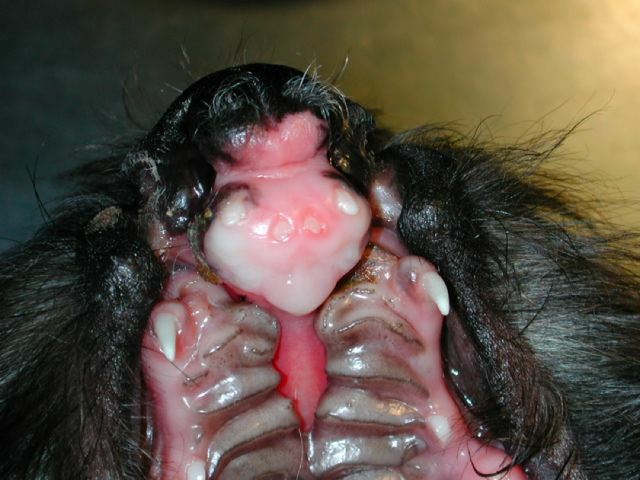 The hole communicates with the nasal passages.